Time a chamber meets after an adjournment until the time it next adjourns. The “day” extending from the time either chamber meets after an adjournment until the time it next adjourns. Because the House normally adjourns from day to day, legislative days and calendar days usually coincide. 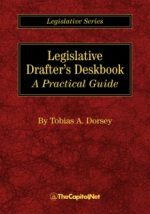 In the Senate, however, a legislative day may, and frequently does, extend over several calendar days, weeks or months.